The ABS Flip-Thread chuck allows you to control the pressure inside the hose and to release excess air by pressing a special button. You can connect the chuck to the Presta valve on one side or to the Shrader valve on the other. It is difficult to see the pressure gauge readings under low light conditions. This is an excellent bike pump for home use. It's incredibly convenient and looks pretty stylish thanks to the wooden handle. Moreover, you can use it for disc wheels too! The head of the BV bicycle air pump is compatible with 3 most frequently used valves. The supply kit is fairly good. The mount for a ball needle and inflatable device is not very convenient. 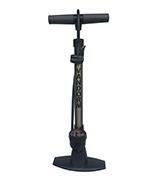 It is a durable bike air pump with a steel barrel. This tool can be used for inflating not only bike and car tyres but for pumping up balls or even a pneumatic boat. The hose allows the inflation of tyres with both Shrader and Presta valves without damaging them. The oversized piston reduced the number of strokes required for inflating a tyre. The pressure gauge is slightly difficult to read. This mini bike pump is easily mounted on your bike's frame so it is always at hand in case of a tyre puncture. Thanks to a special design, you can connect the dual head to a valve with one hand only. The large pressure gauge is easy-to-read. A tyre loses air when you release the pump's head, so we recommend doing it quickly. It is a highly reliable and extremely convenient bicycle air pump that will help you inflate the tyres of your bike, motorcycle, or even a car. 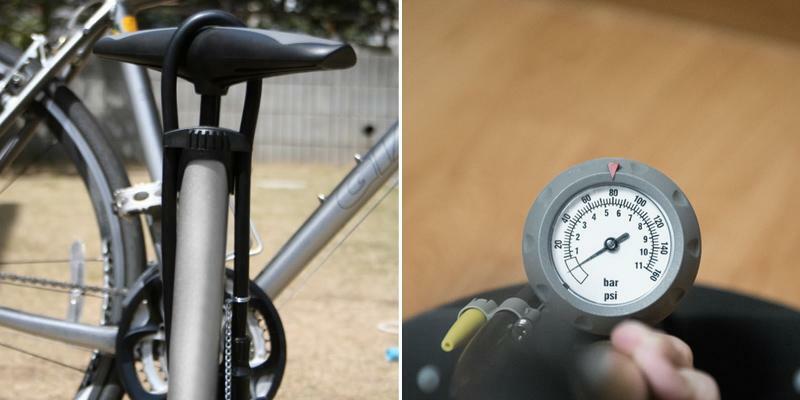 The Pro Bike Tool pump inflates bicycle tyres within a minute. 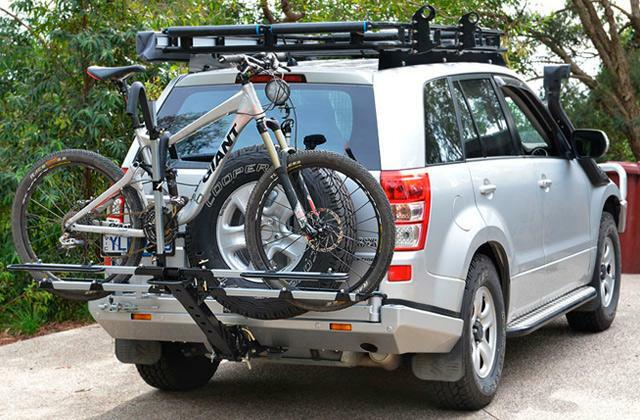 The unit is very compact and lightweight, so you can carry it even in your pocket. This bike pump comes without cartridges so you've got to buy them separately. 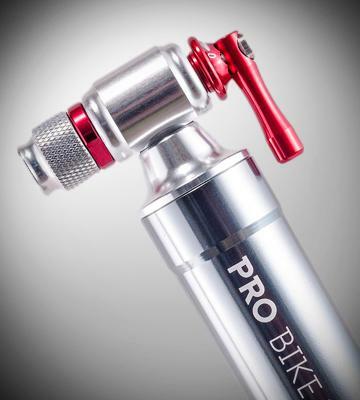 Pro Bike CO2 bike pump is suitable for cyclists participating in competitions as it allows inflating tyres in no time. The Lezyne company is a team of experts in cycling who design and manufacture top-notch tools and accessories. That is why the Lezyne bike pump will certainly meet the expectations of any cyclist! A single glance at a steel barrel tells you that the tool is truly durable. A wooden handle is very convenient and ensures a firm grip. 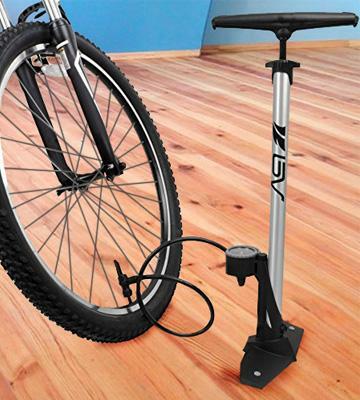 This bike air pump allows you to inflate the tyres of your bike without any discomfort. Moreover, people who wish to use the tool of the same colour with their bikes can choose one of the four colours the Lezyne bike pump is available in: black, silver, red, and yellow. A bike air pump must be simple in use and this model has what to boast of. 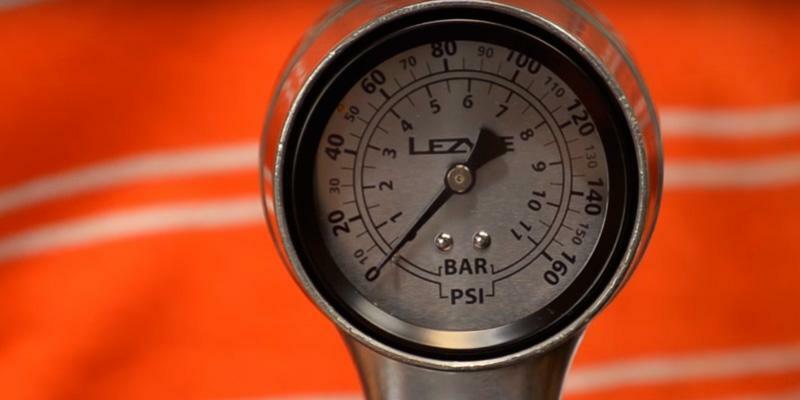 First of all, the Lezyne bike pump has a pressure gauge with two different scales - in Bar and PSI. Moreover, the tool has a sophisticated ABS Flip-Thread chuck for controlling the pressure. The chuck is compatible with Presta and Shrader valves and it has a special button for releasing excess air. It is very comfortable since you do not need to do it manually and you can always check the pressure on the gauge to release the right amount of air. 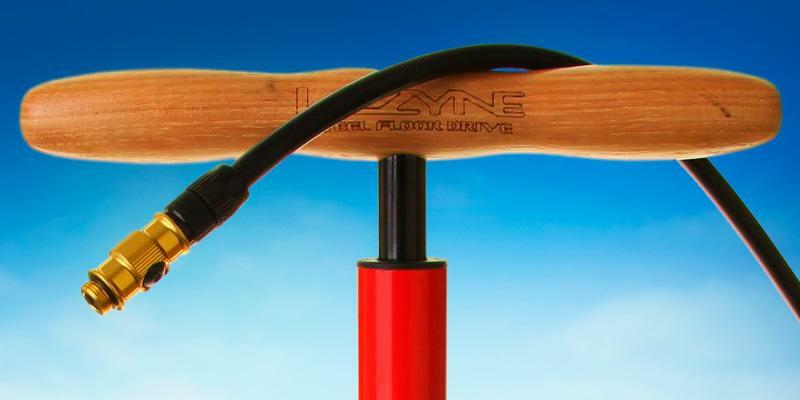 For additional convenience, the Lezyne bike pump comes with a special 90-degree bend that allows you to inflate tyres even on the bikes with disc wheels. Finally, the pump has a needle for inflating balls, which makes it a must tool for any family who have got kids and adore outdoor activities. 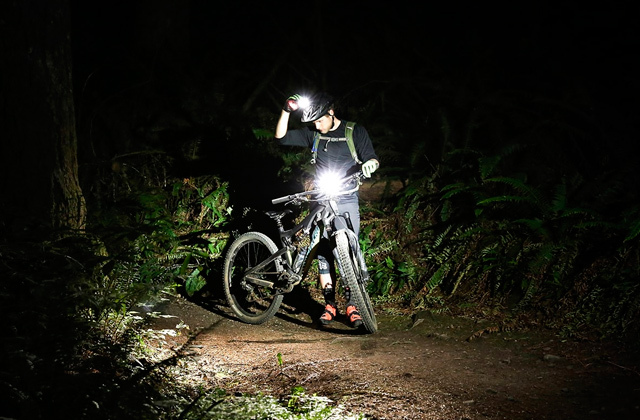 Lezyne is a company known to any true cyclist. The tools manufactured by this producer very often win awards of different bike magazines. 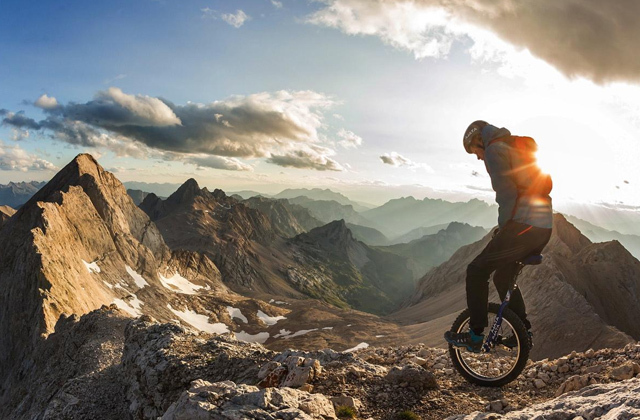 Moreover, Lezyne is a sponsor of such renowned cyclists as Cedric Gracia and Danny MacAskill. The company is rather young, it was founded in 2007 by Micki Kozuschek - a professional triathlete. The mission of the company was very simple - to develop high-quality tools and accessories for professional and amateur cyclists. And they succeeded! Every single product manufactured by Lezyne is developed under the supervision of Mr. Kozuschek himself. If you really like cycling, do not forget to lubricate the chain with a bicycle chain lube. 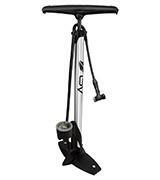 The BV floor pump will be a great accessory for those needing pumping not only bicycle tyres but other vehicles too. From what we've seen this bike pump has the needed multifunctionality to suit all of the most widespread types of valves: Presta, Shrader, and Dunlop. Therefore, no additional adapters are required! The procedure is simple: you need to connect the chuck to a valve and turn the lever left (for Presta and Dunlop) or right (for Shrader). Pumping a bike isn't the only task you could this pump for. Since it's fitted with a sport ball needle and a special inflatable unit, it would also work for inflating balls, air mattresses, etc. With regards to durability of the pump (no one wants a thing that would break apart after a short-run use), it features a highly durable steel barrel with an aluminium piston inside and a pressure gauge that allows the tyre pressure control. The 360° pivoting hose is quite long, which makes it very convenient in use, as you do not need to stand too close to your bicycle or another vehicle. We would also like to mention two scales on the pressure gauge (Bar and PSI). The maximum pressure you can inflate a tyre to with the help of this bicycle pump amounts to 160 PSI. 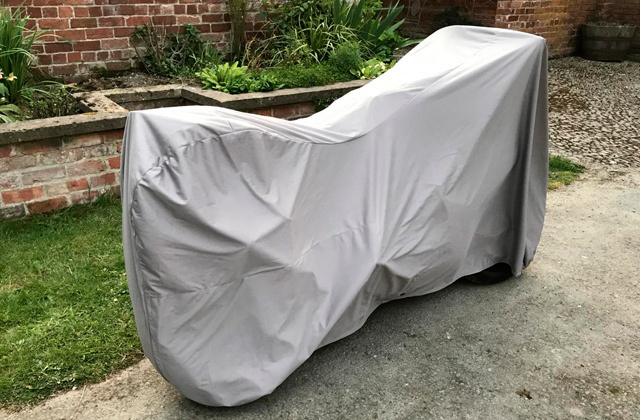 You have certainly heard of frequent bicycle thefts and, of course, you do not want to face such a mishap. Thus, we recommend using a reliable bike lock. Many avid cyclists prefer using portable bike pumps that are always at hand and can literally save in case of a puncture somewhere far from home. This model is for them! 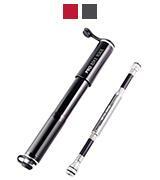 The Pro Bike Tool mini bike pump has a special mount that can be attached to the frame of your bicycle. The hose is hidden inside the barrel and retracted when the tool is in use only. Thus, the hose will serve you for a long time. Moreover, you might not see it but the hose has an integrated pressure gauge with the maximum reading of 120 PSI. This mini bike pump is compatible with Presta and Shrader valves and, needless to mention, no adapters are required. The thread-on connection of the hose to a valve is as easy as ABC and does not damage valves. Pumping is very effective due to an oversized piston this portable bike pump has. It allows you to make 30% fewer strokes than using a conventional mini bike pump. The more you ride your bicycle, the sooner its tyres wear off. 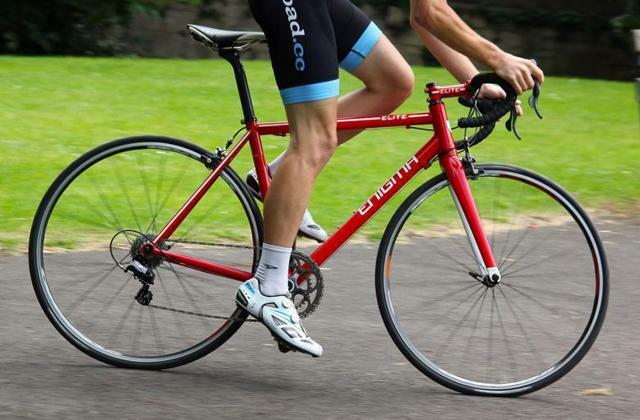 So, make sure to read our reviews of the best road bike tyres and mountain bike tyres. According to our expert teams, this Vandorm Legend VII floor bike pump is one of the most convenient models in its class. First, we would like to note a large and easily readable pressure gauge in the lower part of this tool’s barrel. It has two scales (PSI and Bar) and allows you to check the tyre pressure at a glimpse. The T-shaped Kraton handle is durable and provides a firm grip due to a special soft-touch cover. The next advantage we would like to mention is the dual head valve. Forget about adapters and mess! The head of this bike pump is compatible with Presta and Shrader valves – the most widespread on the UK market. 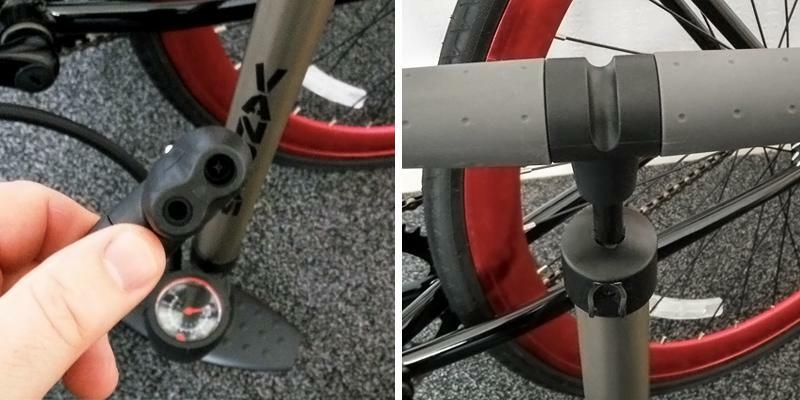 Basically, there are two connection holes in the head – S for Shrader and P for Presta valves, so all you need to do is choose the one you need and pull the locking lever (that will seal the connection and keep the pressure inside a tube without an air leak). The oversized barrel of this floor bike pump minimises pumping effort and has a large plastic traction platform.If you are an avid bike rider who cycles a lot, you should think of getting a bike phone mount or a handy bike computer. 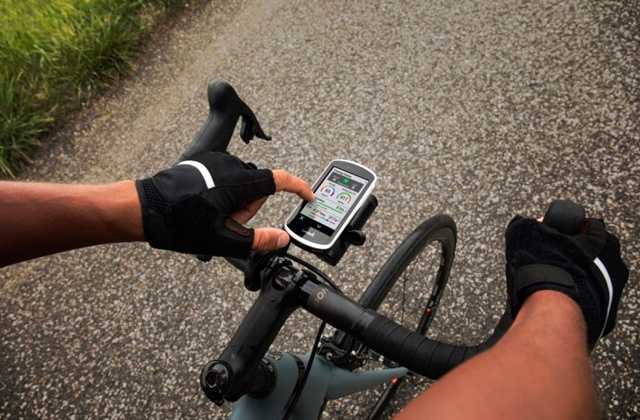 If you are an avid bike rider who cycles a lot, you should think of getting a bike phone mount or a handy bike computer. The Pro Bike Tool CO2 inflator is a superb tool for cyclists who do not want to waste their time on inflating tyres and need to do it as quickly as possible. With the help of this small inflator pump, you can inflate tyres in a minute! It is really important during a competition when every single second counts. 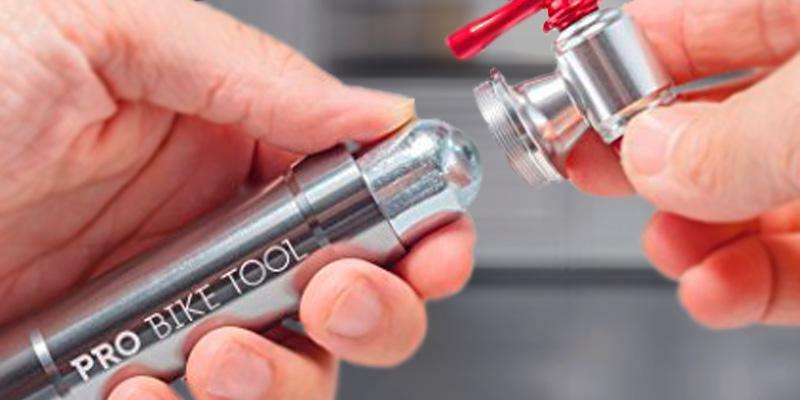 Unlike some cheaper inflator pumps, this Pro Bike Tool model is made of a durable aluminum alloy thanks to which it is lightweight. Plastic CO2 inflator pumps are not reliable at all - they are easily deformed and broken. A single crack makes a plastic CO2 inflator useless. However, this best bike pump is totally different and that is why it comes with a lifetime warranty. So, the manufacturer is totally confident about the quality of its products. 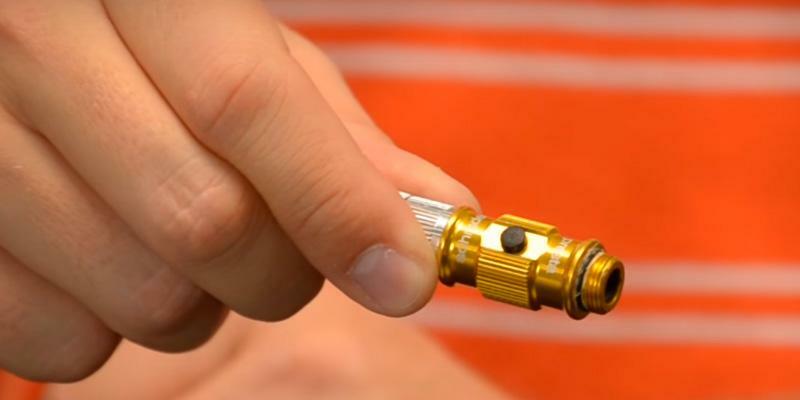 The CO2 inflator is attached to a cartridge with the help of a thread that eliminates a gas leakage. As for the operation, you just screw the Pro Bike Tool inflator on a CO2 cartridge, then turn a small lever to let the gas into an inner tube of a tyre. The lever allows you to control the speed of CO2 release. Therefore, there is nothing difficult! 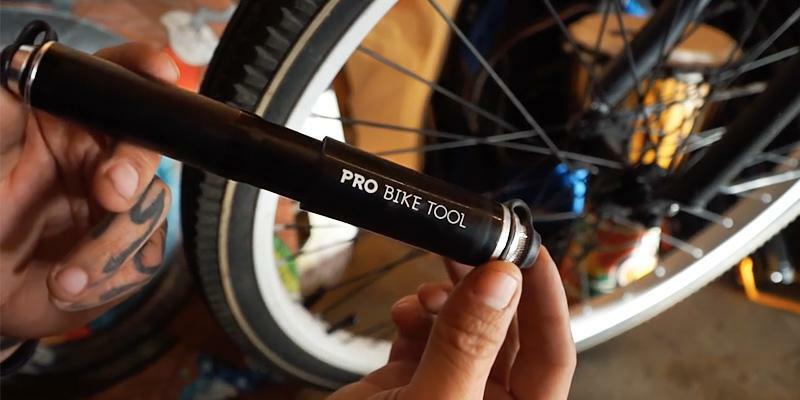 Keep in mind that the Pro Bike Tool inflator is compatible with 12g and 16g cartridges, so make sure to get the right one. 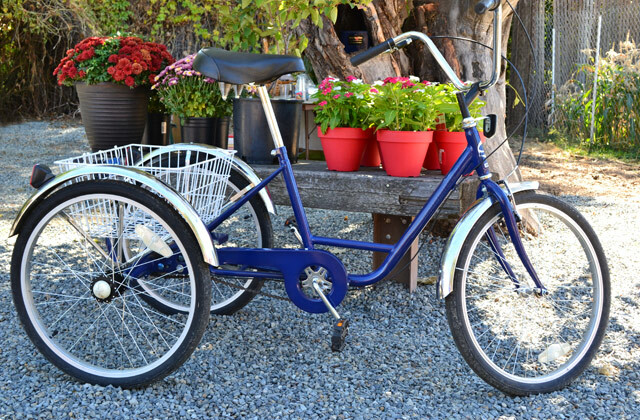 Lots of countries claim they were the first to invent a bicycle. However, a German baron Karl von Drais is considered to be the person who did it. In 1814, he assembled a two-wheeled vehicle he called a 'running machine'. Unlike a present-day bike, his invention had no pedals and people had to push off the ground with their legs. In 1817, von Drais patented his invention, marking the beginning of the bike era. However, a Russian inventor Artamonov is claimed to have designed the first bicycle 14 years before von Drais but failed to receive a patent for his invention. Though Artamonov's vehicle was quite functional and he is believed to have ridden 5,000 km on it. In 1839-1840, a Scottish smith Kirkpatrick Macmillan decided to upgrade the initial von Drais' design by adding pedals. However, this upgrade was not appreciated by people at that time. 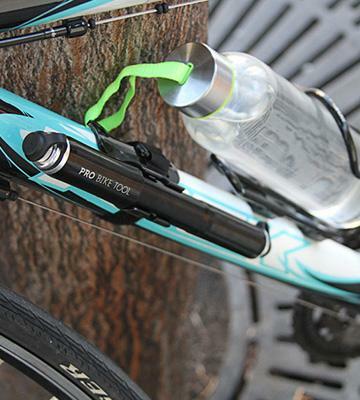 To use this CO2 inflator bike pump, do not forget to buy several CO2 cartridges in advance. 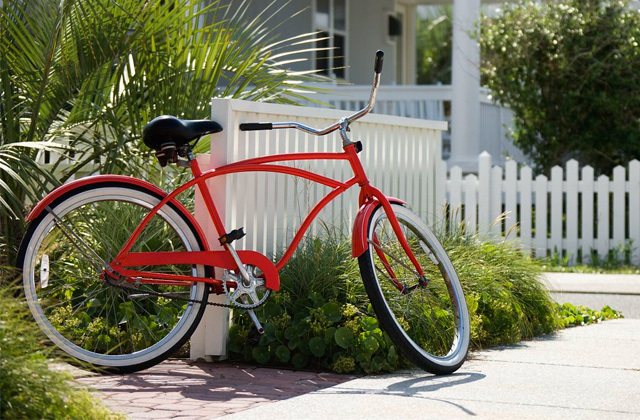 When you buy a bicycle, you should think of the accessories and tools you will need for cycling. And a bike air pump is certainly a must for any cyclist since this small tool inflates tyres. As you know, riding a bicycle on flat tyres is impossible and any tyre is prone to gradually losing air. That is why most cyclists inflate tyres on their bikes from time to time. Moreover, professional bike riders always take a bike pump with them when they go cycling in order to be able to inflate tyres in case of puncture. 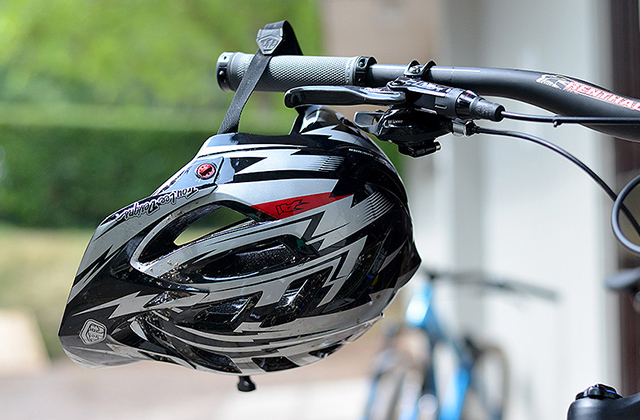 Another crucial accessory any cyclist needs to have is a bike helmet, so make sure to choose a reliable and secure one. 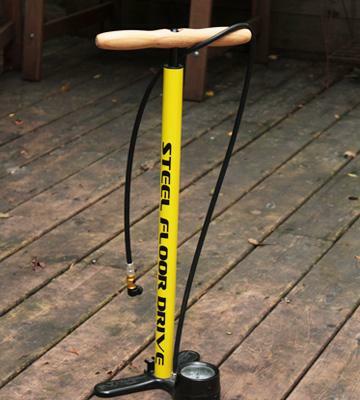 Floor Pumps - are usually used in garages or at home. They are rather big and heavy so carrying them during a bicycle tour is fairly difficult. However, they are simple and really reliable: you just need to step on the base (thus, fixing the bike air pump) and start pumping. 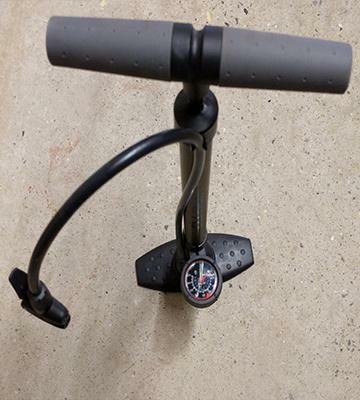 Most modern floor pumps are equipped with a pressure gauge that lets you know what pressure is inside an inner tube. 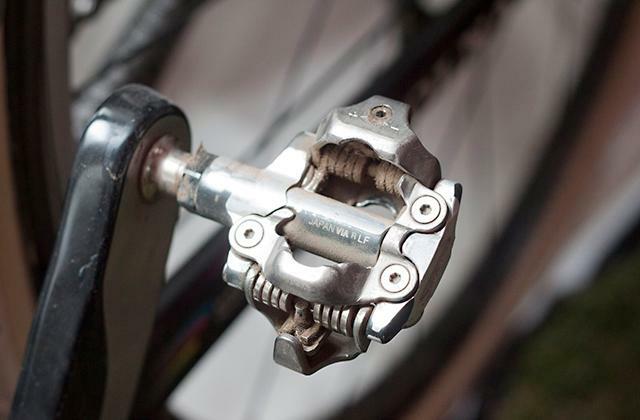 Frame Pumps - are designed to be attached to the bicycle frame. Therefore, these bicycle pumps are always at hand. They are slightly bigger than mini bike pumps and are used to inflate the tyres of road bikes. 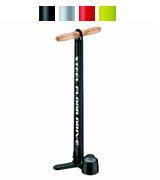 Mini Pumps - are compact and portable bike pumps that are quite popular today and are easily attached to the frame of a bike. Some mini pumps are quickly mounted right near the water bottle. 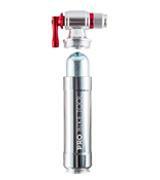 CO2 Inflators - these are small tools that require a CO2 cartridge that is connected to the inflator pump. 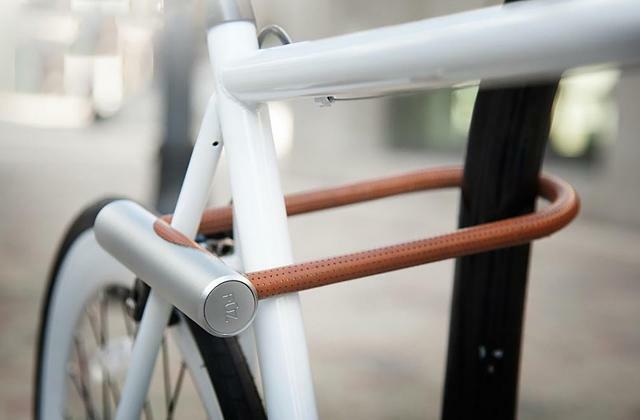 The advantage of such tool is obvious: it is compact and requires no physical effort from a cyclist. The cartridges are different, though: 12g, 16g, 20g, 25g. Small cartridges ensure a pressure of 90 PSI, big ones - up to 120 PSI. No need to mention, a bike air pump you choose must be compatible with the type of a valve on the tyres of your bike. The most widespread types of valves are Presta (also called French valve) and Shrader (also called American valve). There are also inner tubes with Dunlop valves but they are less widespread. Most bicycle pumps support Presta and Shrader valves, so no matter which one you have - a pump will be compatible with it. However, some models have a chuck two different slots whereas others have only one universal slot for both Presta and Shrader valves. Next, consider the maximum pressure a bike air pump supports. 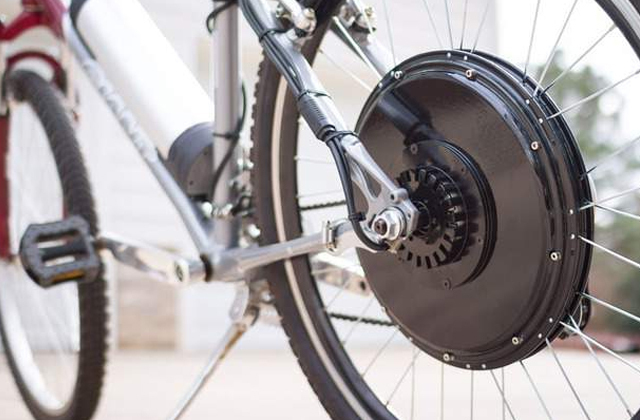 For example, the pressure of 100-120 PSI is sufficient for a mountain or city bike while a road bike requires a more 'powerful' pump with the maximum pressure of 120-160 PSI. Finally, we recommend you to pay attention to some technical improvements a bike air pump has. It is a real advantage if a tool has a pressure gauge so that you know if a tyre is inflated enough. Next, many floor bike pumps have a T-handle which makes pumping really simple as you can use both hands. Some bicycle pumps have a small cover that protects slots on a chuck from dust and dirt. Finally, some bike air pumps have small clips for attaching a needle or an adapter to inflatable devices (mattresses, etc.). 1. David Rome How to choose a pump - buyer's guide, Bikeradar. July 8, 2014. 2. Bike Pumps: How to Choose, REI co-op. 3. Sean Cronin How To Choose a Bike Pump, OutdoorGearLab. August 3, 2016. 4. How to Use a Bicycle Pump, Trails. 5. Bicycle Pump Guide, Tredz. 6. 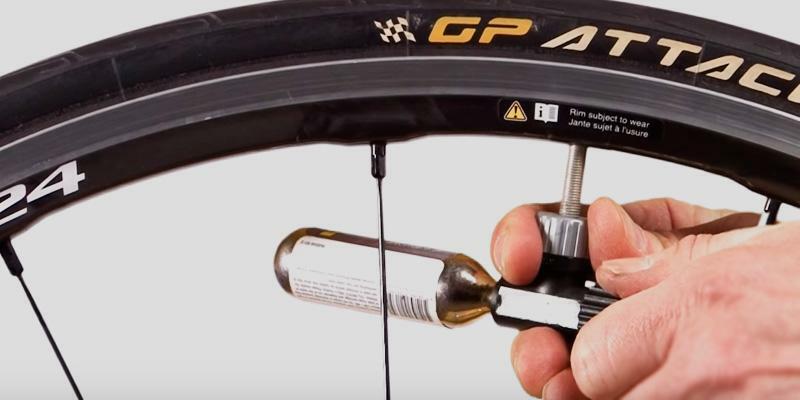 Mike Anderson Beginner’s guide: how to pump up a road bike tyre, Roadcycling UK. July 6, 2015. 7. Jessica Stranger Beginners: How to pump up your bicycle tyres, Total Women's Cycling. October 21, 2013. 8. How to Inflate Bike Tires, wikiHow.